in love with their concept and their company. Bluum makes life a little easier for us parents. Really.darn.perfect for this go-go-go mama. With school, dance classes, play dates and work, I tend to forget the little, but important things like; new reading material, boogie wipes (lots of runny noses this winter already), and our (yes, I’m that mom finishing off her daughter’s squeezie on the subway. Am I supposed to let it go to waste? I think not) favorite snacks. Bluum Toddler carefully curates products that have been tested and approved by real parents. Some of the sweetest real parents that I got to meet in person at their launch party a couple of weeks back. Once a month you’ll get the cutest box sent directly to your home. 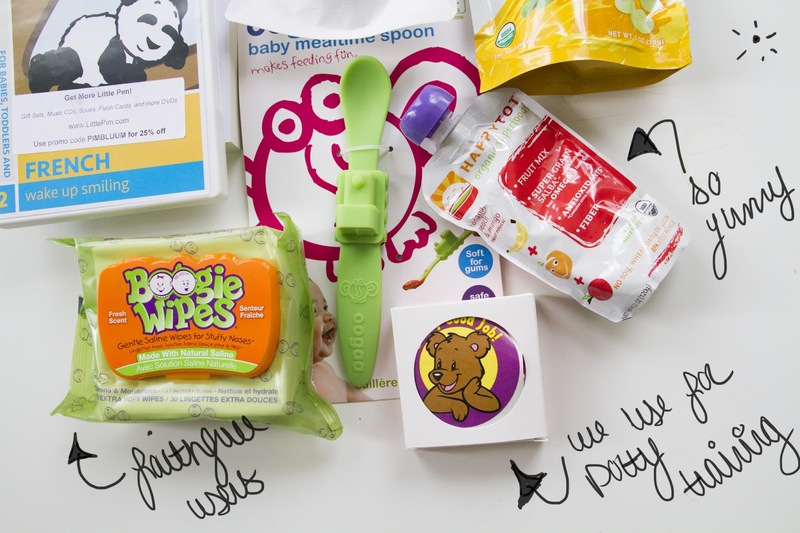 The box is filled with all things toddler related that will make that month a smoother one for parents. Receiving the “BOXSS!”is just as exciting to River Mae as playing and using it’s contents. It’s almost like Christmas every month-once a month. You can watch reviews by other real parents here! *this post is sponsored by Bluum. Thank you sweet readers for taking the time to check them out! Next post: Random thoughts, plus a shop SALE!